Ian Somerhalder and Nina Dobrev gave a super-funny speech at the People’s Choice Awards as they accepted their mutual award for Favorite On-Screen Chemistry on The Vampire Diaries. 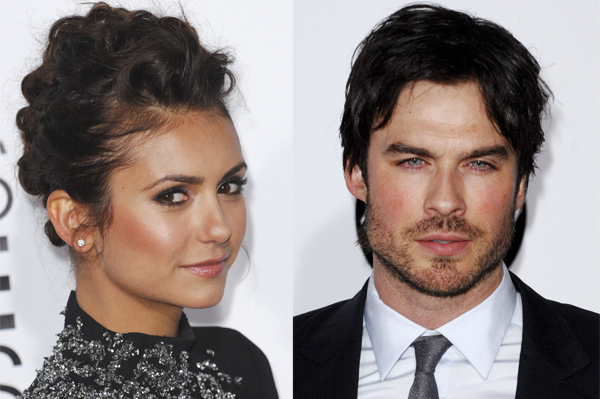 The Vampire Diaries co-stars and former lovebirds, Ian Somerhalder and Nina Dobrev, gave a very humorous speech after they won a mutual award on the People’s Choice Awards. The fan-favorite pair, who have remained good pals after their breakup, were charmingly graceful as they accepted their award for having the best chemistry on TV. Somerhalder and Dobrev charmed the audience as they sweetly poked fun at themselves and their on-screen/offscreen relationship. “You were hooking up with my brother!” Somerhalder hit back, referring to Dobrev’s character, Elena, and her longtime romance with his character Damon’s brother, Stefan (Paul Wesley). “Well, you killed my brother,” Dobrev reasoned. “But eventually, she fell in love with me,” Ian said with a casual wave.